Manchester United hope to resist Real Madrid's attempts to sign goalkeeper David de Gea again this summer. 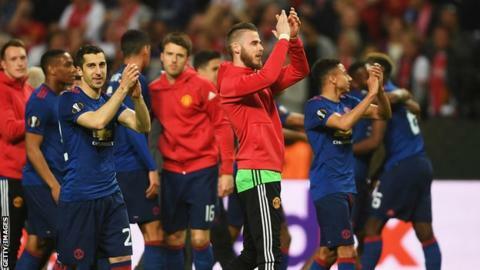 De Gea, 26, was left out of United's Europa League final line-up on 24 May in favour of Sergio Romero. The loss of Cristiano Ronaldo, albeit for a then world record £80m, in 2009, is the obvious example of it happening, while it could also be argued United had 'sold' De Gea when they did not want to before the transfer was eventually scuppered.